Chef E-Dubble has cracked jokes while demonstrating recipes on Munchies and cooked for T-Pain, James Harden and Drake, but despite his lofty achievements, the South Central native remains grounded. “#ImJustaChef,” reads his Instagram bio. E-Dubble got his big break in high school roughly two decades ago when he shadowed legendary chef/Nancy Silverton's ex-hubby Mark Peel for a day behind the scenes at Campanile. “As an urban kid, I had never had a purple fingerling potato and Mark grabbed one for me to try raw. I've never had such fun eating a potato.” E-dubble tells me over the phone from his home in Los Angeles. The ninth grade class clown and aspiring artist felt so at home in the Campanile kitchen, he interned there later that summer and eventually went on to attend Le Cordon Bleu for culinary school. But The People’s Chef, or so they call him, never lost his penchant for good times. He became executive chef at a buzzy spot in Beverly Hills where he made waves by hosting popular comedy nights. 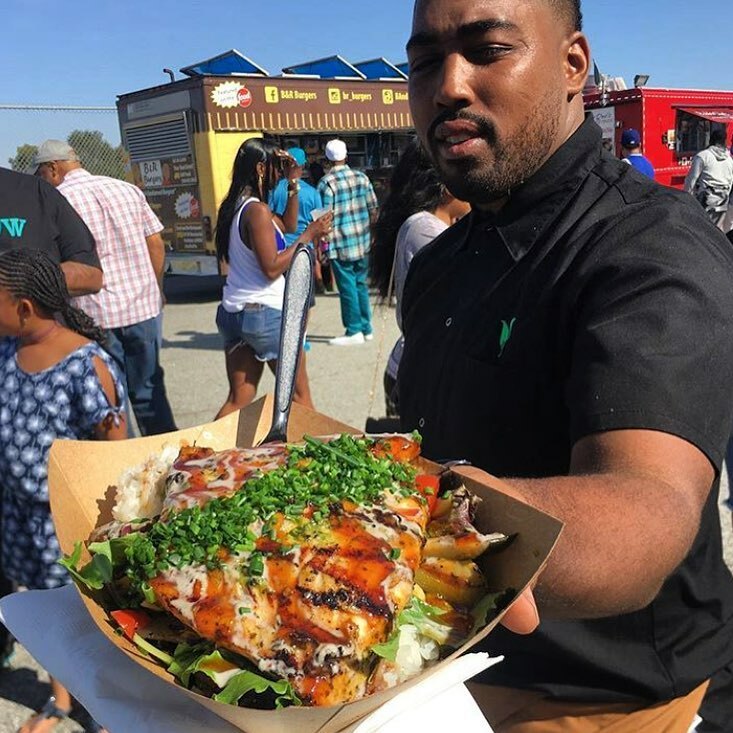 Later, he started E Dubble Catering and Grilled Fraiche in his native West Adams, where he serves up healthy Jamaican-Cali fusion salads and rice bowls out of his food truck and brick and mortar. You can also catch E Dubble cheffing it up at LA Times’ annual food event, The Taste over Labor Day Weekend for Dinner with a Twist alongside other big names like Antonia Lofaso, Jonathan Gold, and Jonathan Whitener. Chef E-Dubble manning the Grilled Fraiche food truck. "The jerk sauce is amazing," said everyone ever. 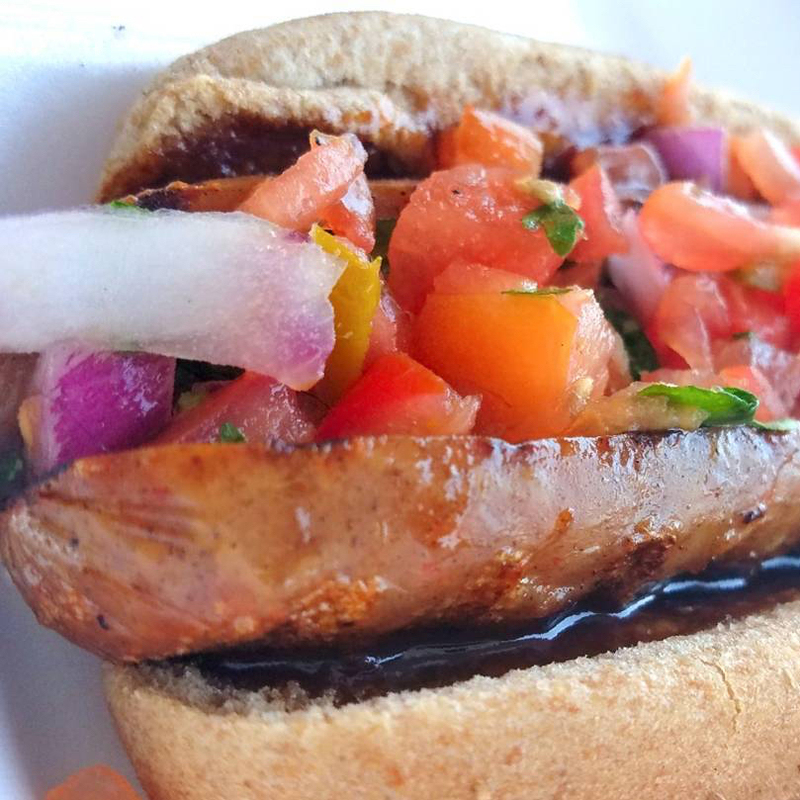 Until then, check out Grilled Fraiche on West Adams and sample some of his other favorite places to grub in the neighborhood. Chef E Dubble: Our food is an experience. If it's your first time with us, go for a combination bowl. 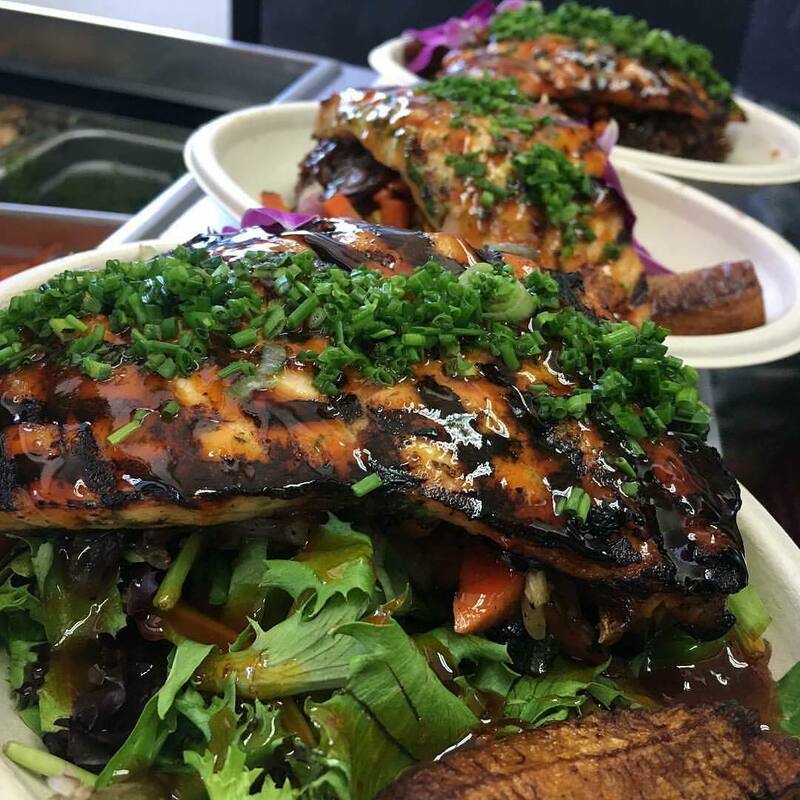 You can either do chicken, salmon or shrimp, but I would probably start you off with chicken and salmon bowl of quinoa with grilled veggies and mixed greens and jerk sauce. 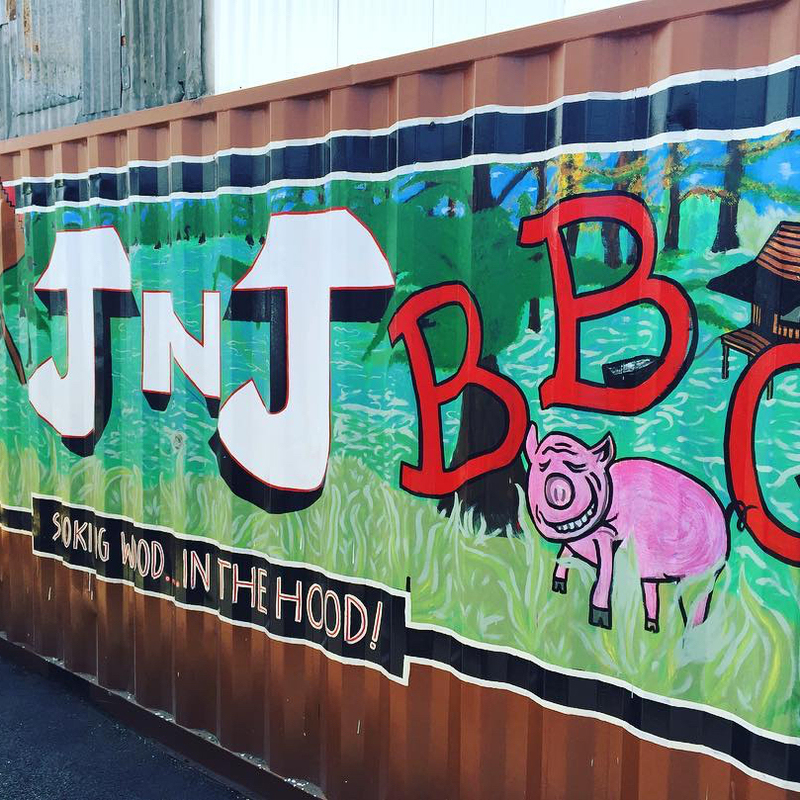 That right there is probably one of our signatures—we love adding that "grilled" experience. The combo gets you some bread pudding and one of our fresh juices too. 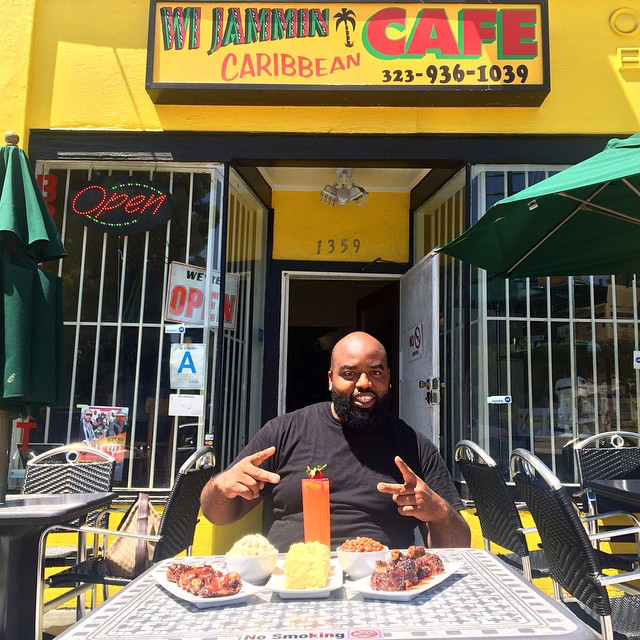 Chef E Dubble: Wi Jammin Cafe is a Jamaican restaurant on Pico and Redondo. Courtney, the son of the owner, prepares breakfast from 7 in the morning until 3 in the afternoon. It’s really great to have a breakfast spot spot that goes beyond the classic eggs, bacon and potatoes. He’s known for his cereal french toasts, like Captain Crunch and all that good stuff. Additionally, he does a macaroni and cheese with jerk BBQ wings, potato salad and greens for lunch that is delicious. It’s definitely one of my favorite places right up the street. Chef E Dubble: I grew up in this area and actually worked here. They make really good chicken sausage links and vegan chili. It's a simplistic, family oriented restaurant. I love the vibe. 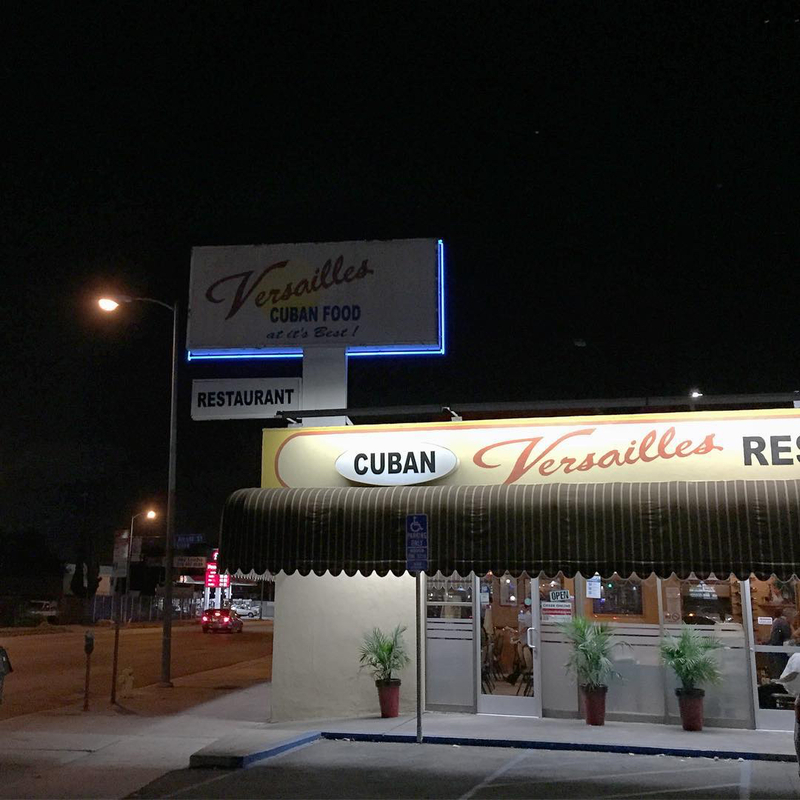 Chef E Dubble: I grew up on Versailles' Cuban food. You gotta be familiar with Versailles. 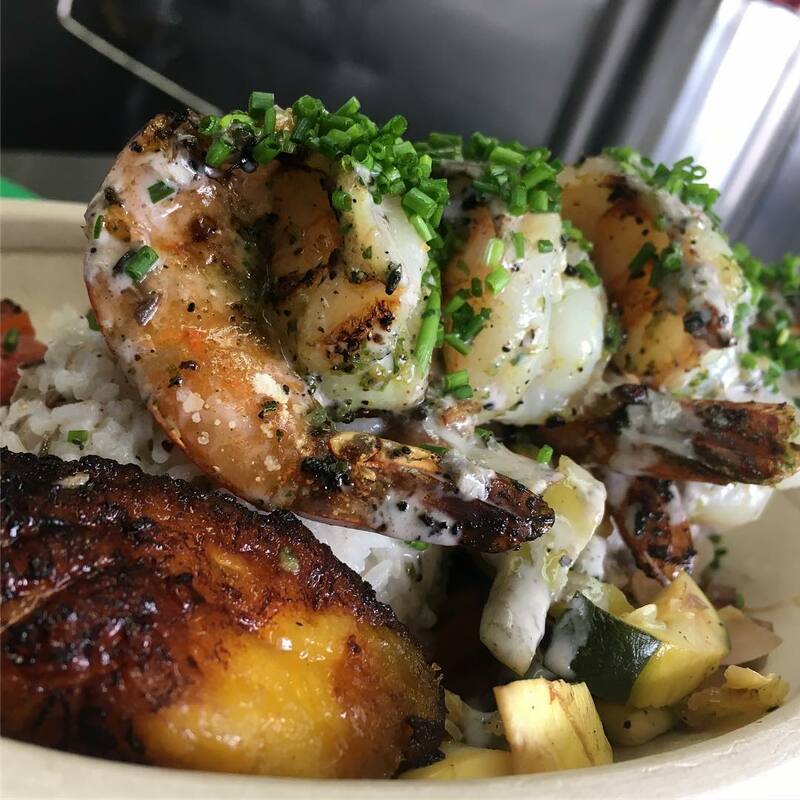 Order the garlic chicken special with steamed rice, black beans and plantains. You have to get the garlic bread as well. I don't think people capitalize on it. It's my go to restaurant. I've been going here for a good 24 years, my parents took me there. 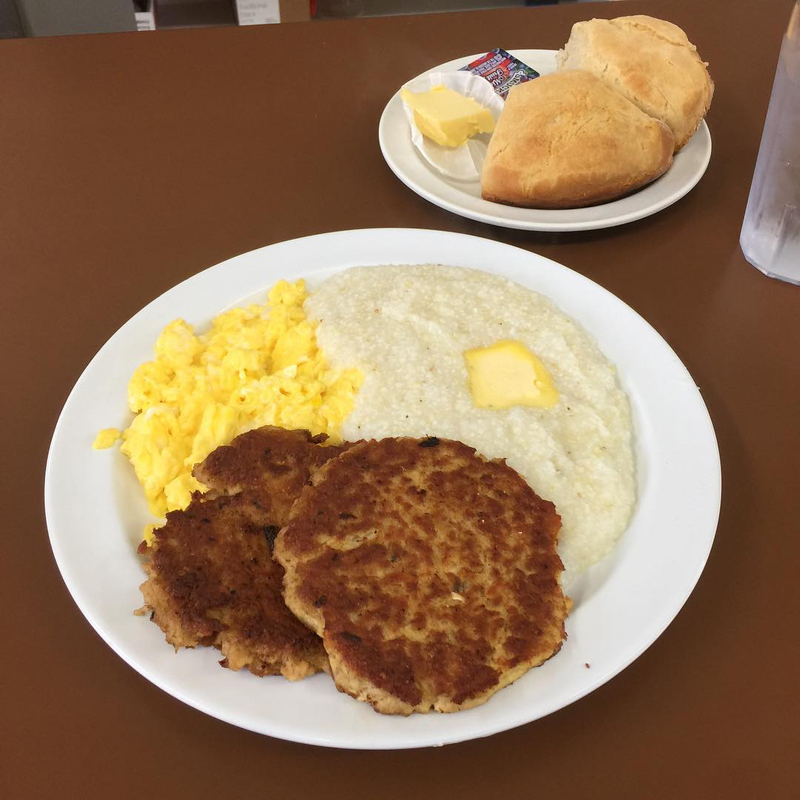 Chef E Dubble: Jack's Family Kitchen, located on Western and Martin Luther King, is a mom and pop restaurant that probably goes back to the early 60s. You order at the counter where it's always packed with older folks. I recommend the pancakes or the grits. You really can't go wrong. It's one of those experiences where you're eating culture, at least that's what it feels like. It's a blast from the past and a great experience. Chef E Dubble: I remember walking from home Junior High and stopping to get a JNJ Burger. 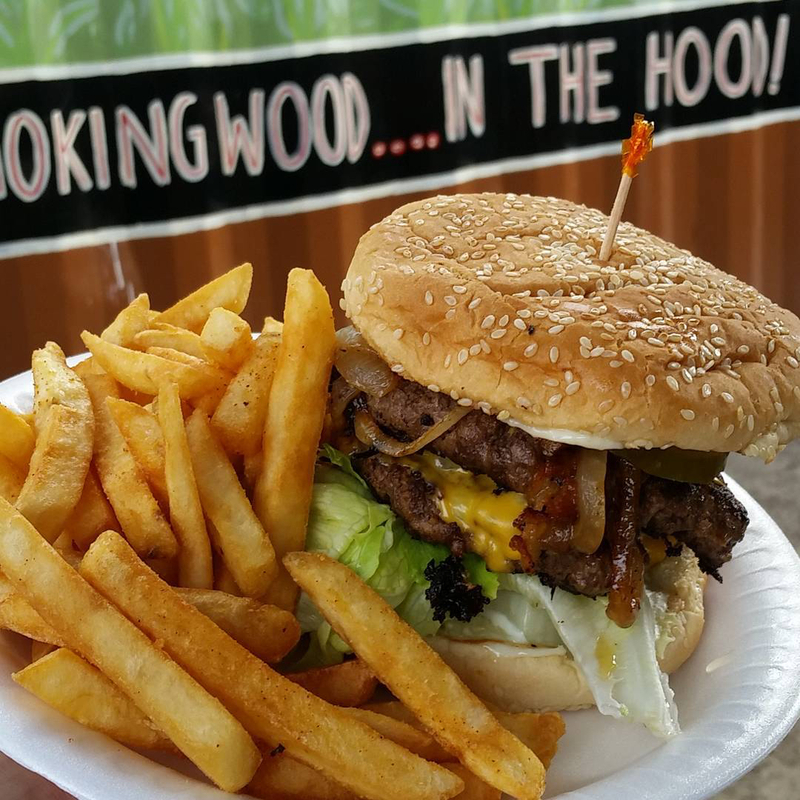 The BBQ is good as well, but I am more of a fan of the burger. 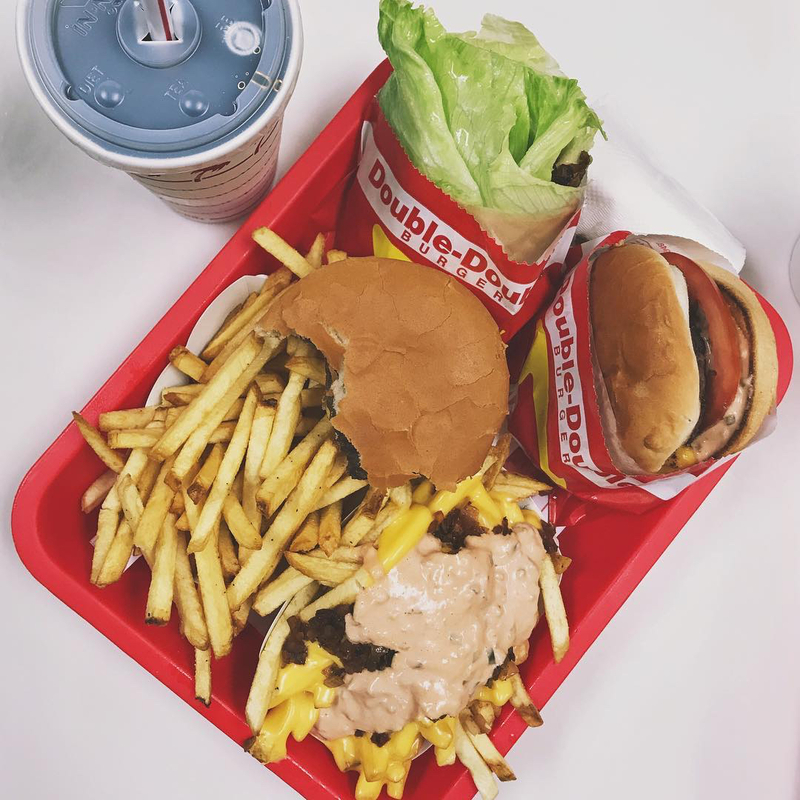 Chef E Dubble: In-N-Out is probably one of the reasons we created Grilled Fraiche. The reason I say that is, I worked at In-N-Out in the 11th grade. This might sound funny, but working there really set the bar high for customer service and being a real cheery and happy person. Their service has been really high for as far back as I can remember. 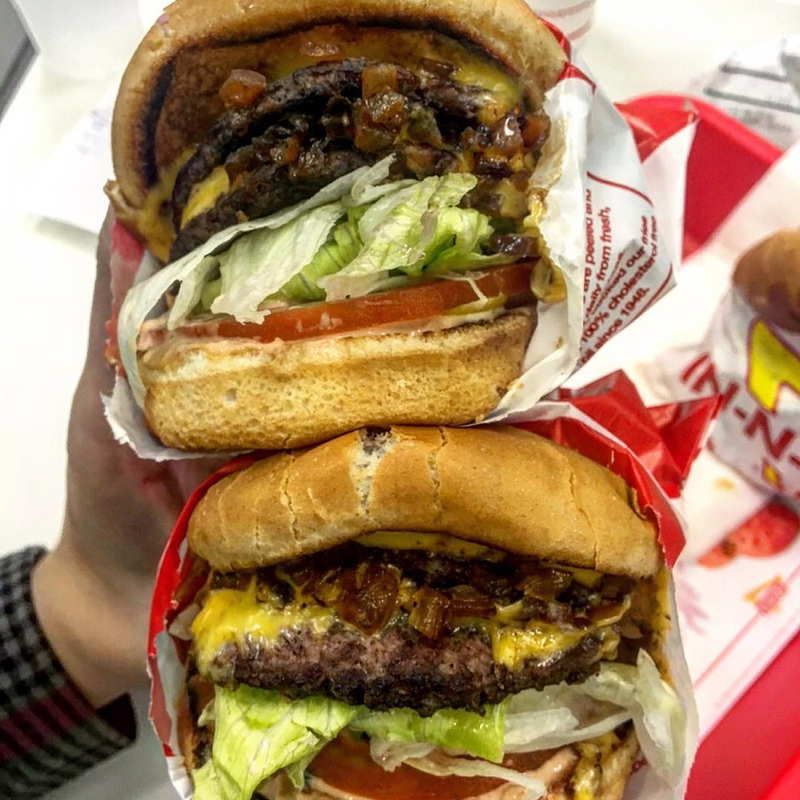 They use top of the line ingredients and the best ground beef. A lot of those things are characteristics that came into place when I started my own. Old-school tiny stand with an array of burgers, BBQ, sides like collard greens & sweet potato pie.